Transistor Radios are still used, but not as much as they used to be, and often not for the same reasons. There is nothing like the look of a nice retro Transistor Radio! My first transistor radio was one of the most exciting gifts I received as a child of the 1950's and '60's. It was during that time that transistor radios became widely available to the consumer. They were being developed earlier than the 1950's. Transistor Radios were a transition from the old cumbersome tube radio to a design that was much smaller because it used transistors. Some transistor radios were small enough to be carried in a pocket..."pocket radios" were in. This page contains a bit of radio nostalgia and history as well as current uses for transistor radios. I finally found the first Transistor Radio that I owned! I have searched online to find the first transistor radio that I owned, and do believe I've finally found it, pictured above. I appreciate radiomuseum.com for giving me permission to use the photos. I received my radio in the 1960's. It was the aqua blue color you see in the picture, solid plastic front and back. To open it up to put in the 9 volt battery and see the workings inside, you took a coin and "twisted" the front and back apart from the bottom edge of the radio using a notch designed just for that purpose. It had dials on each side, one for volume, one to change the stations. You viewed the stations through a little hole. I am sure my first was just an AM radio. I can still remember opening the box, it fit snugly in the cardboard box. I'm sure I had the old style earphone, the white one that was on a long thin wire and went into one ear, but I think it broke early on, because I remember listening to my radio under my pillow with my head resting on the pillow in just the right spot when it was supposed to be off and we were supposed to be sleeping. Dad was so delighted to be able to give my brother and I these radios, he was into electronics, and at that time, a transistor radio was a big deal for kids like us. could buy them in the 1960's. 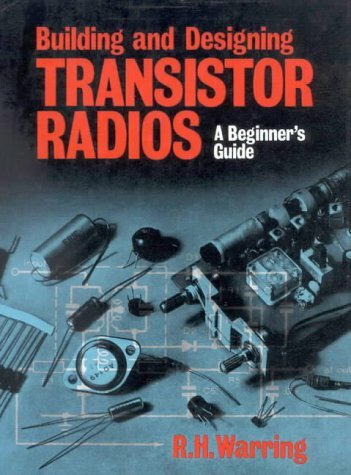 This is a quick list of a few transistor radio facts, and link to a more concise description of the history of the transistor radio. Though many claimed to have produced the first transistor radio, it was Bell Laboratories that patented the first transistor and introduced a prototype transistor radio in 1948. The Regency Transistor Radio was the first made in significant numbers for about $50, at that time a high price to pay....equal to hundreds of dollars today with inflation. 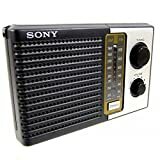 In the mid to late 1960's, many transistor radios where imported from Hong Kong at prices below $10 making the radio more affordable for the average consumer. For a much more detailed history, visit this link at Wikipedia. Transistor Radio's are still available in spite of the preference many have for digital music or listening to radios that may be part of their cell phones. We still have an old short wave transistor radio that my grandfather gave us many years ago, and used it when we lost power for 11 days after Hurricane Sandy. It was on every waking hour to keep us informed as to what was happening out there in the world and in our own State, New Jersey, that was so drastically affected by the storm. during times of disaster when there is no power and battery operated radio that doesn't need charging is necessary to keep up with the current news. for camping trips or hikes into remote places where cell service is not available. for those who like to collect old radios and enjoy the nostalgic pleasure of listening to them. I was surprised to find that you can make a radio from things around the house. You may have to buy a few things, but generally, these are fun and easy things to make. They are great projects for the hobbyist as well as for keeping children entertained with something educational and fun. Stop by and visit this scitoys.com link, and at the top of the page you'll find links to other radios you can make....like the 3-Penny Radio, a part of which is pictured with permission. Yes @CruiseReady - definitely a great project for children...but their are more complicated kits for adults as well. You're never to old if it's something that interests you :-) Thank you for your visit! The little transistor radio I had as a child is long gone, but this article reminded me of it and its little leather cover. Not I am thinking what a great project it would be to build one, especially if that was a project done together with a youngster. 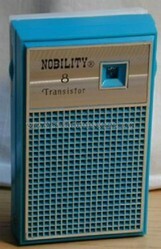 I loved my transistor radio when I was a girl. @candy47 do you mean the exact same one I am showing that I received or as each other? I sure do wish I still had it today. It would be fun to see it "in person" again. I remember transistor radios! My best friend Evelyn and I got the exact same one as a gift for our First Holy Communion! And we squealed with joy!!! The Star Wars phenomena began in the 1970's and will be revisited once again with a new movie December of 2015. Add Pop-Up books to your Star Wars collection!